Commit to hanging your laundry out to dry. Go to your local farmers' market each week before you head to the grocery store. Do some spring cleaning to identify everything in your home that you absolutely don't need. Donate to help others save money and resources. 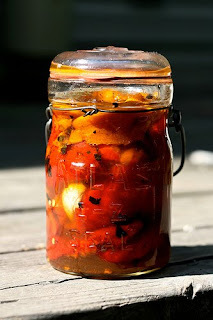 Choose one local food item to learn how to preserve for yourself for the winter. Get your family to spend more evenings at home, preferably with the TV off. Focus on enjoying what you have and who are with. Stop fixating on what you think you may need, or how things could be better "if only.""